It is four o’ clock in the morning. The Kryvyi Rih–Kyiv train. The conductor is shouting, "Passengers, return the bedlinens!!!" After a third threatening shout, the train’s frightened and sleepy passengers reluctantly remove their bed linens and carry them to the conductor’s compartment, colliding with each other in narrow passage. Where do the bedding sets go afterwards? Conductors take the bedding sets to the laundry complex after their shifts. At the laundry, women take the bedding sets and immediately sort them. "Someone was eating raspberry," the Kyiv- wagon depot’s head Oleksandr Nabok said, pointing to a towel with a large red stain. “And someone’s shoes were dirty. People spoil a lot. On average, about 15% of the laundry that arrives in a single day is spoiled. We thought about disposable bedding sets, but imagine yourself sleeping on a napkin. It is not very comfortable. In addition, the question of recycling 30 tons of laundry per day will arise." Dirty bed linens are transferred to the washing shop after sorting. Only one washing line is currently in operation in the washing shop. 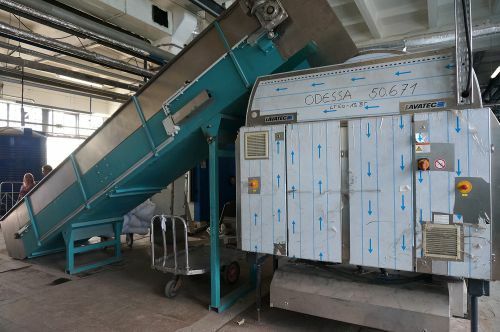 It was bought in 2003 and has a capacity of 1 ton of bed linens per hour. 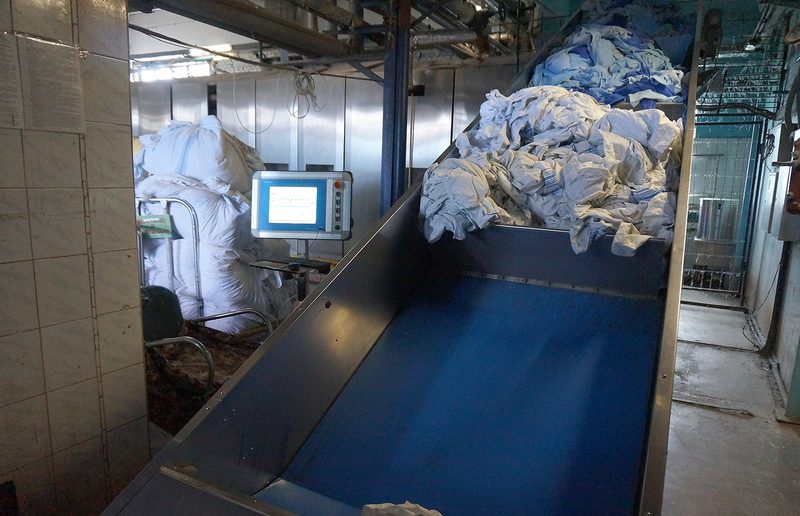 The laundry washes 27-28 tons of bed linens per day during peak loads. A bedding set for an open-plan wagon weighs 800 grams and a bedding set for a compartment car weighs 1.2 kilograms. The second line was brought from Kharkiv only recently. According to Nabok, a pre-launch technical audit of the line is currently being performed. This line is more powerful, with a capacity of 2 tons of laundry per hour. When it is launched, the capacity of the laundry complex will increase to 3 tons of linen per hour. “The cost of washing one set of linen in our laundry is about UAH 11 while a passenger pays UAH 30. If you calculate the economy, we get UAH 20,” Nabok said. Natalia Linik is the forewoman at the laundry. According to her, she started working at the laundry at the age of 18. The laundry employs about 200 people, mostly women. The men perform the heavy physical work, like pushing carts and carrying bags containing linens that have already been folded. After washing, the bed linens are loaded onto carts and taken to the ironing shop. The climate there is tropical and the air is hot. When the temperature is +30 outside, it is +50 inside the ironing shop. The newer ironing machine has a capacity of 1,000 units per hour while the older one has a capacity of 540 sheets every 40 minutes. "The heart of the laundry complex is the boiler," Nabok said. “The boiler generates steam. If we have quality dry steam, we have quality, dry ironed linen.” According to him, the boiler was made in the 1960s and its age is beginning to tell. Instead of the standard 10 atmospheres of pressure, the boiler generates steam at 6-7 atmospheres. The laundry comes out wet because of the low pressure. After ironing, pillowcases, bedsheets, and towels are folded and checked for defects. Bedding sets are then created out of them and packed in cellophanes. Ten sets are put into blue bags and distributed into railcars. 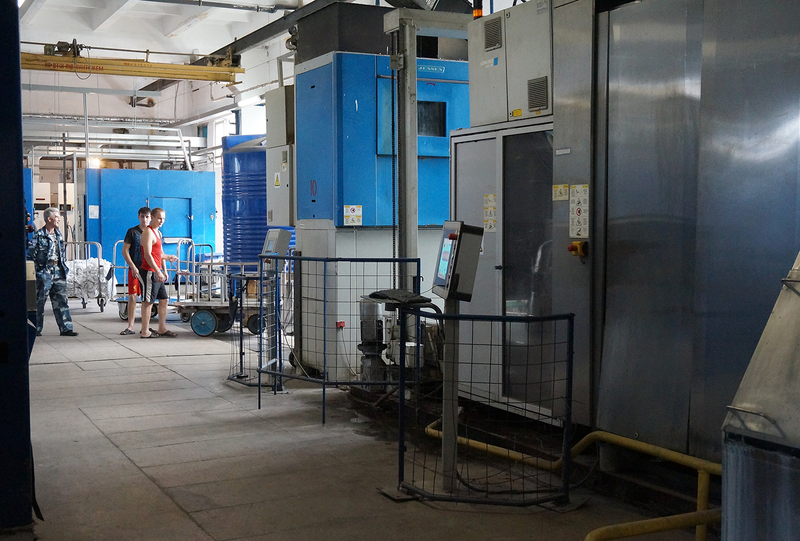 In addition to visiting the laundry complex, we also met with Ukrzaliznytsia’s director of passenger transportation and services Ihor Romankiv to find out whether there is a general vision for development and modernization of Ukrzaliznytsia’s laundries and ask whether it is more profitable for the company to wash its own linen or outsource the washing. How many sets of bed linen do you plan to buy this year? We plan to buy 580,000 sets of bed linen. This will give us the opportunity to replace all the bed linens. We have already purchased 30,000 sets. Bidding for the rest was blocked, and we had to invite fresh tenders. To help you understand, Ukrzaliznytsia uses more than 100,000 sets of linen every day. One set lasts one year. Are there any special quality requirements that manufacturers of linen must meet? With regard to quality, we are requiring manufacturers to adhere to international quality standards and have the appropriate certificates for the first time this year. We were accused of deliberately using these certificates to restrict access for participants. Then it turned out that 6-7 companies have these documents and that this is not a problem. Moreover, we tested linen sets provided by potential suppliers and received feedback from passengers, which is very important because passengers ultimately use the linen. Other than linen, what else do you plan to buy this year? We have also invited tenders for supply of 18,000 summer blankets, 21,000 winter blankets, 31,000 mattresses, and 37,000 pillows. These are pillows without down and mattresses without cotton wool. The new blankets are woolen and of better quality. Does Ukrzaliznytsia currently outsource laundry services? No. This is the first year we are using only our own facilities. Did outsourcing justify itself? Was it cheaper or more expensive for Ukrzaliznytsia? We tried outsourcing, and it turned out to be much more expensive. We have experience, especially on the Southwestern Railway... Our laundry complex there was leased to the Development 21 Century company. The company operated there until 2013. Many criminal cases have been launched ... and the company still owes us some money. 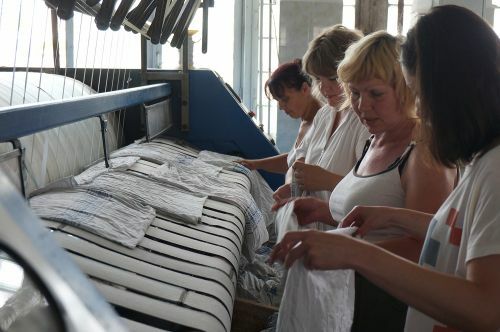 The main rationale for the decision to outsource was that laundry would cost us UAH 2.50 per set of linen (this is an arbitrary figure: the real figures are much larger). The outsourcing company says it will wash line for us at UAH 1.80. The economic effect is a bomb. 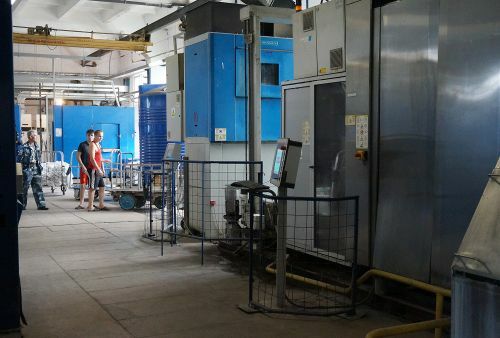 However, a month later, the company says that the technology has changed, the cost of detergents has risen, and it will not wash linen for less than UAH 3.50. 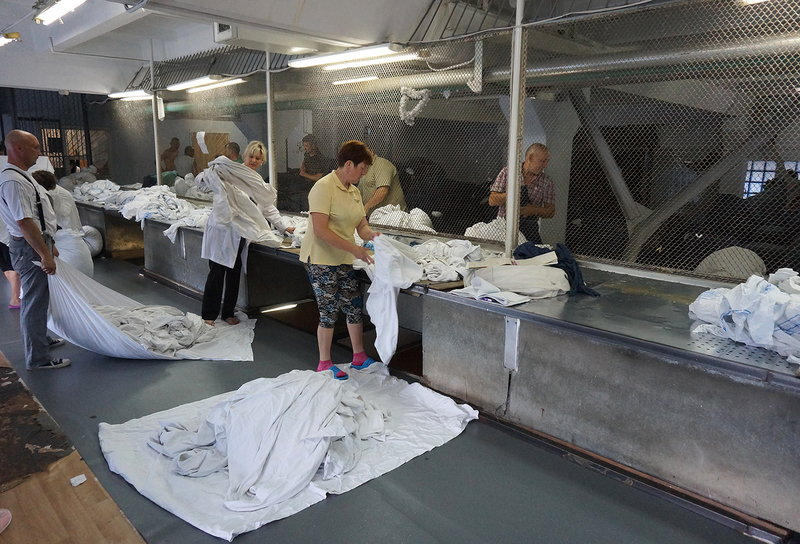 Ukrzaliznytsia agreed and the outsourcing company washed linen for us at UAH 3.50. An issue that is even more important is the quality of washing because poor-quality washing can render linen unusable very quickly without the possibility of restoration. Can you disclose how much you plan to spend on laundry at your own laundry facilities this year and how much you spent last year by outsourcing it to other companies? It is wrong to compare one year to another because prices of everything have risen. Even at my hairdresser's salon, prices changed three times in one year. 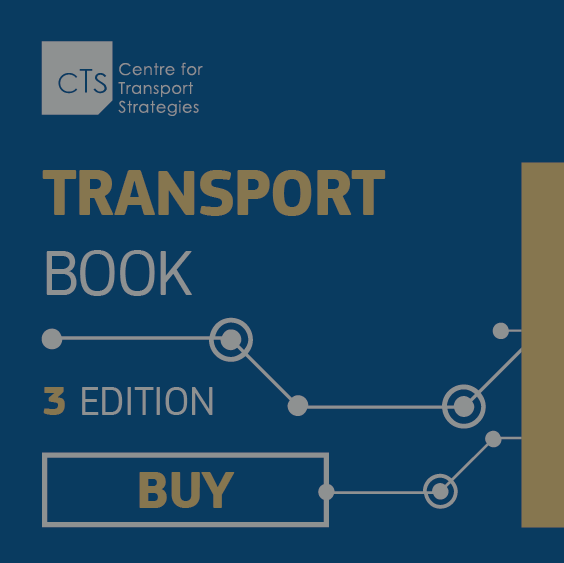 Moreover, volumes are increasing because we are transporting more passengers. 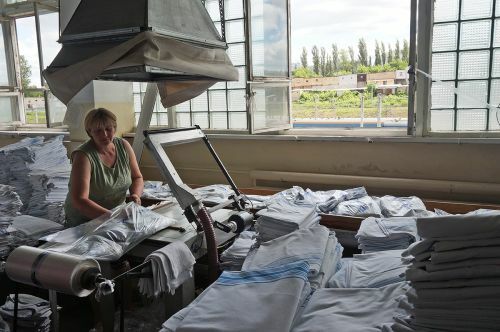 What are Ukrzaliznytsia’s medium-term plans for its laundry facilities? 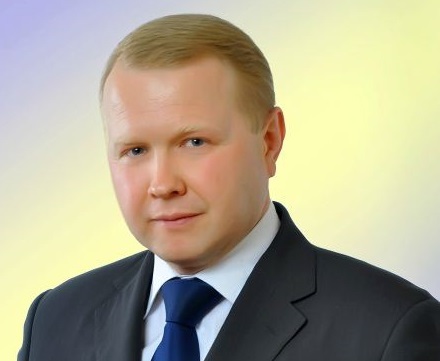 Ukrzaliznytsia’s strategy provides for operation of its own service company, which will be in charge of its laundries. The company has laundry facilities in all major cities. However, I consider the following model ideal: creation of a maximum of three laundry complexes out of all our existing laundries. The largest one would be located in Kyiv, and it would cover the entire central region. One would be located in the western region and one in Kharkiv or Odesa. Will these complexes be somehow modernized? Definitely yes. We will make decisions after a technical audit. This is the first time we are considering all the complexes as one. Until now, each railroad decided what was best for it. There was a problem last year: the departures of trains were delayed for two hours or more because of lack of bed linen. What happened then? Subversion of production! As a specialist, I can tell you today that this was done deliberately in order to persuade the company’s then-management to outsource laundry operations. For example, the Odesa depot closed its laundry for scheduled repairs in the summer, when the number of trains and the volume of passenger transportation increase significantly... That was specifically when laundering was outsourced.